Have I told you? 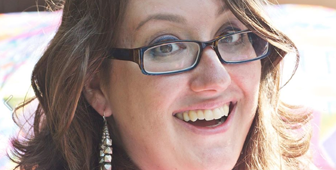 I’m getting married in less than a month. Call it procrastination or just me being in an ultra crafty mood, but I decided to craft last night and today instead of working on wedding stuff. Ack! I still think I’ve got most everything under control and not too much left, but you would think I’d be fixated on that. Instead I am up churning out ideas left and right. Haha. 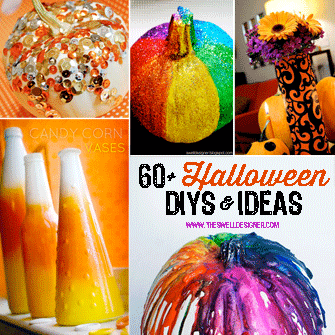 Oh well, you are the beneficiaries of my fun Halloween ideas, so enjoy! 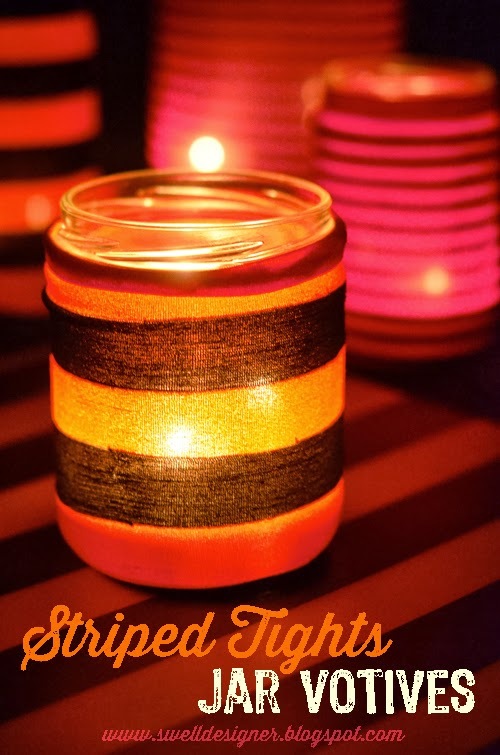 This idea came on a whim when I saw some leftover tights I wanted to wrap a pumpkin in. 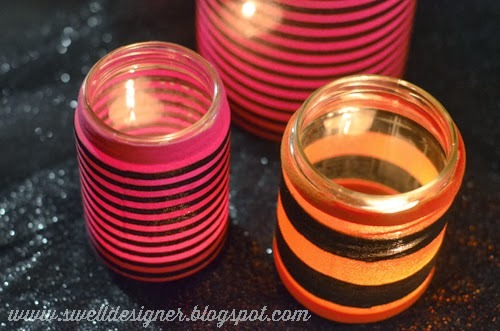 I remember I tried it last year and the pumpkin idea wasn’t so great, but I thought, “How about a jar and create a luminary”. 2 hours later I was finished photographing my creations. 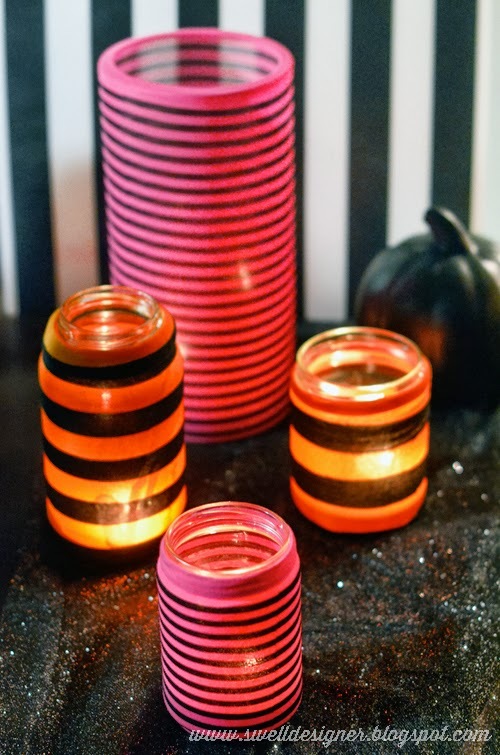 See below how you can make these inexpensive, yet striking votives for your spooky décor! 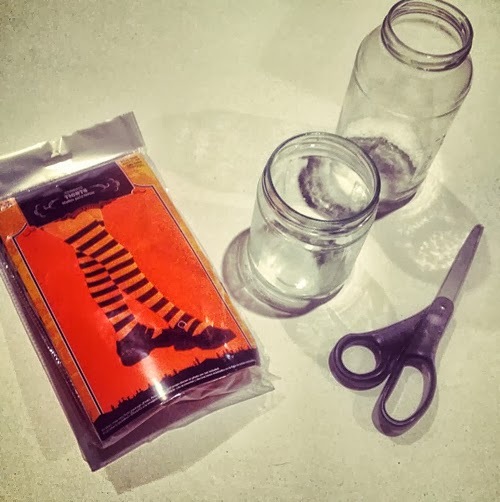 Cut the stocking/tights slightly larger than you think the jar is. 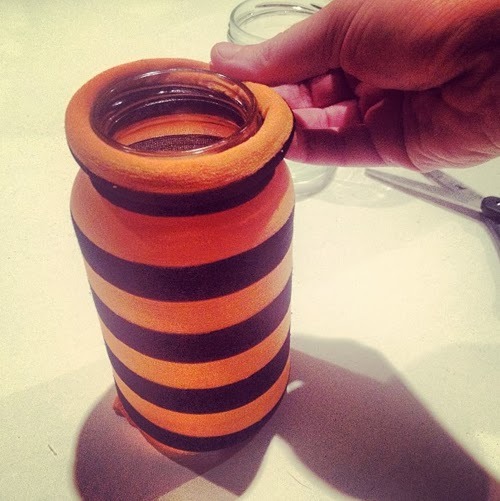 Slip the jar inside. 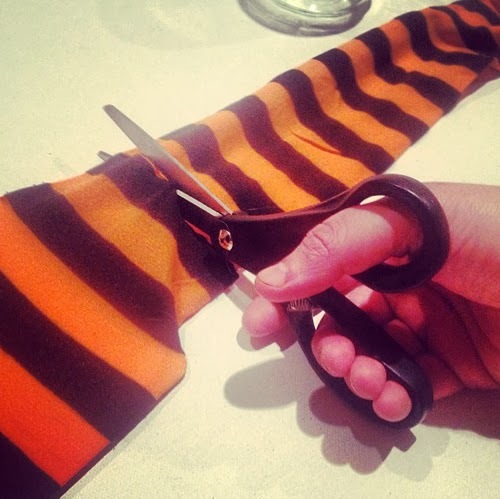 Cut off excess if you want, just don’t make it to short, as you will want to fold it over. 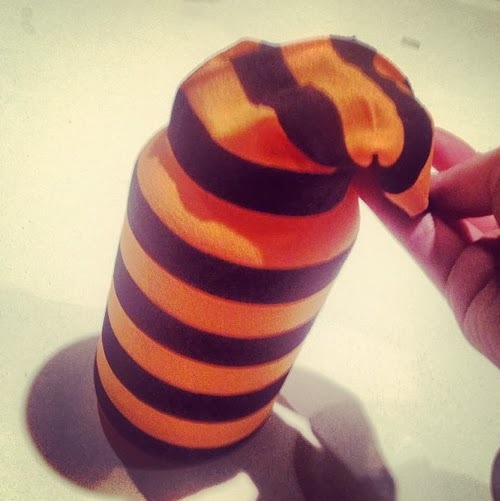 Now roll or fold the stockings down around the lid. If you use various pieces of the stocking, you will want to secure the bottom, so it doesn’t ball up at the bottom of your jar. 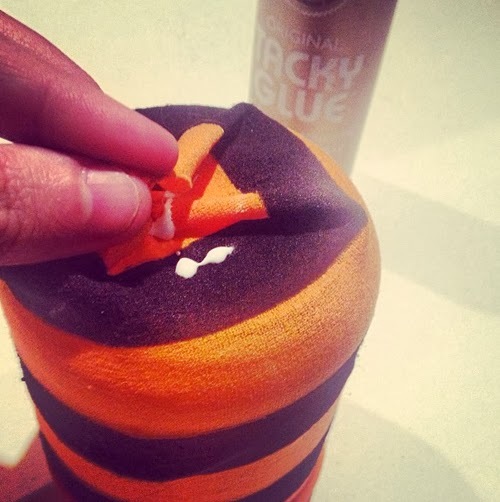 I suggest using Tacky Glue or hot glue to do this trick. 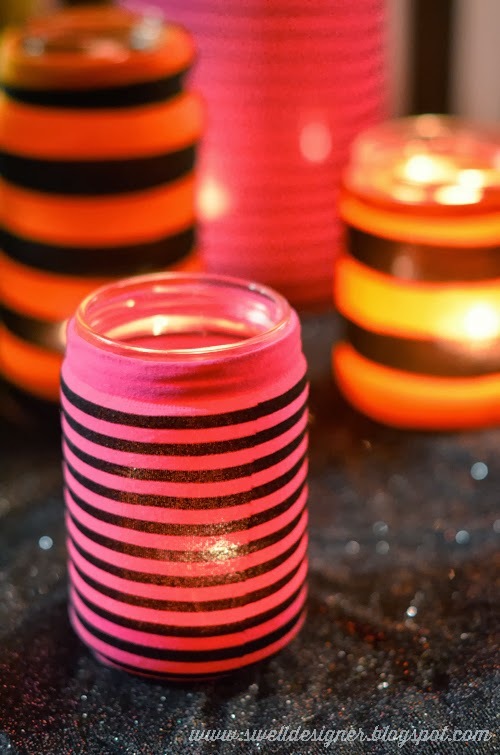 Drop some votives down in these babies and you are ready for a night of spooky fun! There shouldn’t be a problem with them overheating or catching on fire, since the stocking surrounds the jar and doesn’t touch anywhere inside. I think they turned out really fun! Very Tim-Burtonesque, don’t you think?